Doodle breeds have taken the world by storm in recent years. We’ve fallen head over heels in love with Labradoodles, Cockapoos, Cavapoos and Poochons. But with all that wavy fluff comes a bucket-load of maintenance for us dog owners. In fact, Doodle coats are some of the most difficult to keep in tip-top shape. Doodle coats can vary in type, from scruffy doodles to the more woollen or fleecy varieties. But all doodles will benefit from a regular grooming regime to keep them tidy, happy and healthy. 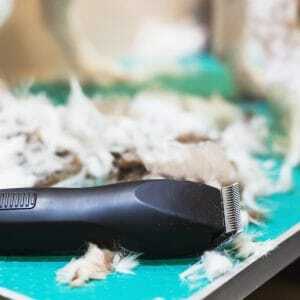 Without a daily brush, Doodles can end up with severe matting that can only be fixed with very short haircut. There’s no doubt this is something you want to avoid! With these top tips you’ll ensure your Doodle looks the part all year round. 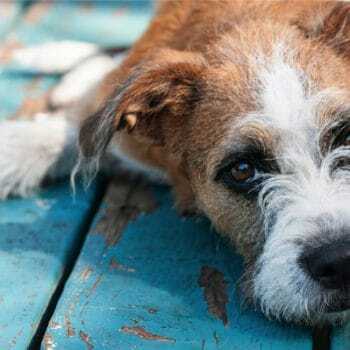 If mud, dirt and debris are left on your Doodle’s coat, this can cause tangles and breed bacteria. With our specialist Doodle bathing line designed specifically for Poodle crossbreeds, you can clean your dog and remove those tricky tangles at the same time. The Choca-Doodle 2 in 1 Conditioning Shampoo makes combing after a bath fuss-free. With a conditioning power blend, it also helps keep your Doodle’s tangles at bay in the future. The biggest bonus of all though, is that this indulgent dog shampoo is scented with a warm, rich chocolate fragrance, so your beloved Doodle will smell good enough to eat! Doodle coats are prone to stubborn knots and tangles, even when it feels like you’re doing everything in your power to prevent them! But with the Choca-Doodle Comb Thru’ Spray you’ll get an added dose of elbow grease to make brushing that much easier after a bath. This super-slick detangling spray can be used straight on a damp coat after a bath or on a dry coat to prevent tangles between baths and grooming sessions. Just spritz on and brush out! 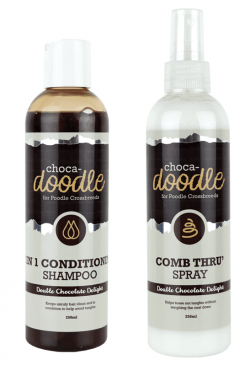 Why not check out our fabulous bundle offer where you get the Choca-Doodle Conditioning Shampoo, as well as the Comb Thru’ Spray for just £12. Now you can keep your Doodle’s coat clean and tangle-free for much less! Keeping your Doodle’s coat healthy requires at least a weekly (if not daily!) brushing routine. But with a coat as special as a Doodle’s, you shouldn’t just use any old dog brush. Our self-cleaning slicker brush is the ideal tool for those curly coats, and to save you the hassle of plucking out Doodle fluff, with the click of a button you can slide off excess hair on the brush. To ensure you’re using your slicker brush the right way, stick to the ‘pat and pull’ method. Pat the brush into the hair making sure the brush is flat. But be sure not to scrape the bristles along the skin. Instead, pull the brush downwards and away from the skin. This not only helps remove your Doodle’s thick undercoat, but it’ll make detangling knots a breeze, especially when the brush is used alongside the Choca-Doodle Conditioning Shampoo and Comb Thru’ Spray. Then paired with a wide-toothed comb, you have the perfect grooming tools for detangling, fluffing and styling your Doodle. The comb is ideal for adding those last styling touches and checking through the coat for any remaining knots. 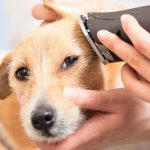 Follow these grooming best practices and your loveable Doodle will have an easy-to-manage coat that looks stellar and smells delicious!